The College of Engineering’s Toy Adaptation Program received a $32,490 grant to fund future expansion thanks to the Battelle Engineering, Technology and Human Affairs (BETHA) Endowment annual grant competition. The program is one of just four projects selected to receive BETHA funding out of 27 submitted proposals. The grant will help provide Buckeye engineering students with hands-on experiences, workshops, labs and community service sessions to apply their technical knowledge to adapt electronic toys for children with disabilities. Rachel Kajfez, assistant professor of practice in the Engineering Education Innovation Center, is principal investigator on the project and Elizabeth Riter, Green Engineering Scholars program coordinator, is a co-investigator. 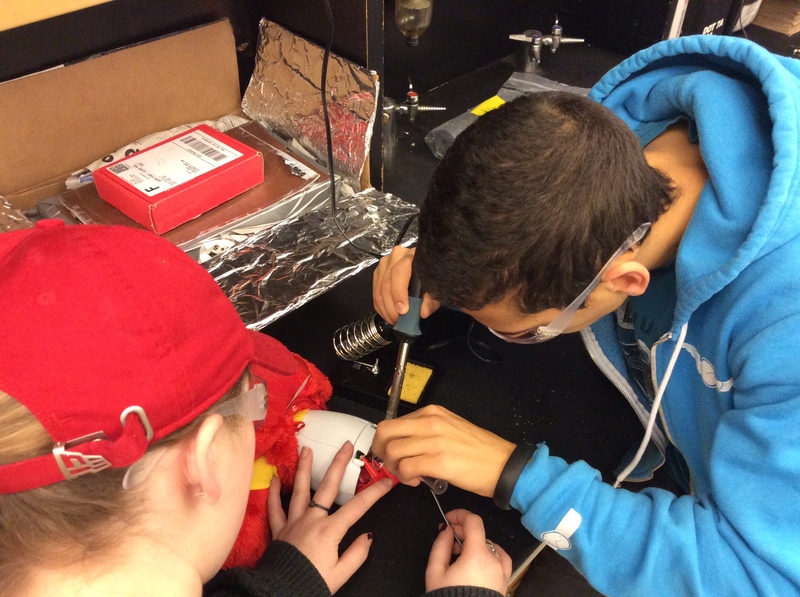 The Toy Adaptation Program enables students to connect concepts related to circuits, soldering and reverse engineering to societal impact. The experiences themselves result in adapted toys that can be donated to toy libraries and families in need, benefitting the community as well as students. In addition to funding future toy adaptation workshops with engineering students, the grant will also support the development of new community workshops. A partnership of the Battelle Memorial Institute and The Ohio State University, the BETHA annual grant competition supports projects that examine the complex relationship between science and technology on society and cultural issues.